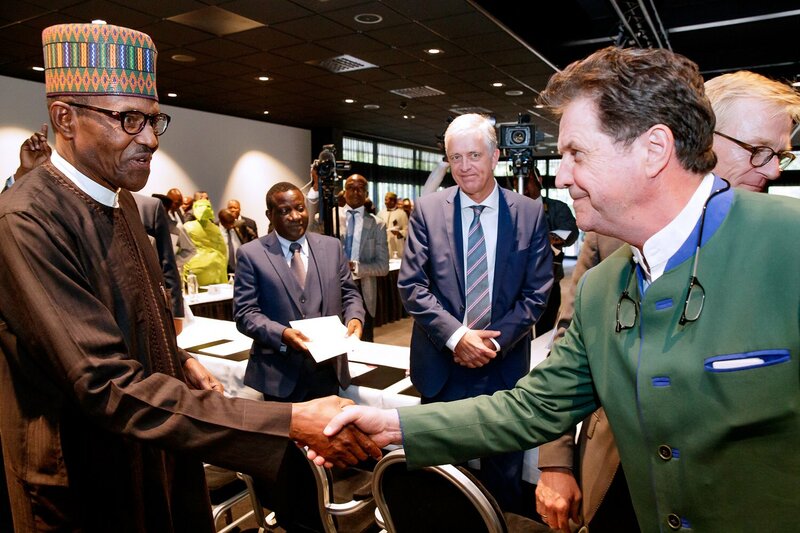 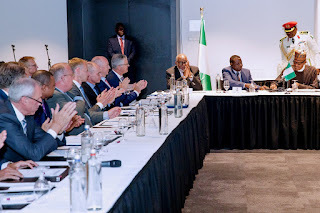 President Muhammadu Buhari on Sunday evening arrived Netherlands ahead of his scheduled visit to the International Criminal Court (ICC) in The Hague. Trade and Investment promotion are an important part of the President’s travels. 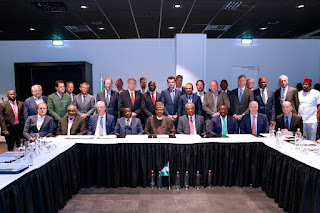 Earlier today he held a Roundtable meeting with Dutch CEOs: Heineken, Shell, FrieslandCampina, Vlisco, Julius Holland, Damen Shipyards, among others.